Designated Outdoor Smoking Area (DOSA) - Drinks Are Welcome! 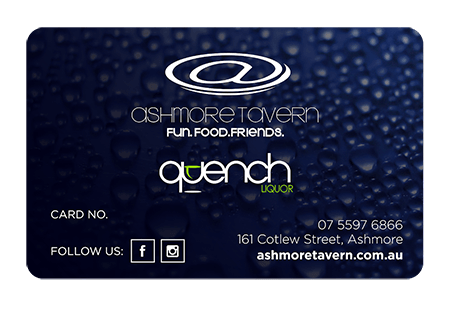 Ashmore Tavern about becoming a member!  benefits, deals & invites to events. 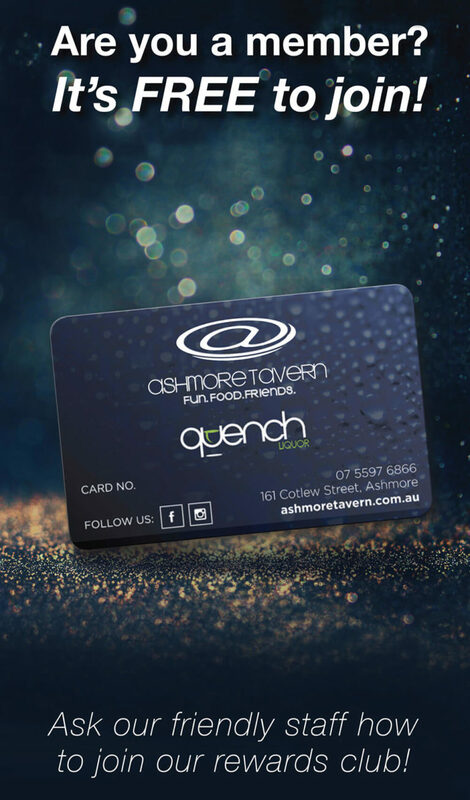 Ashmore Tavern is committed to ensuring the Responsible Service and Promotion of gaming in our venue. If gambling is affecting you please call the Gambling Helpline for assistance.